'A literary thriller like no other...A hard-charging, edge-of-the-seat tale.' -Milwaukee Journal Sentinel Darwin Minor travels a dangerous road. 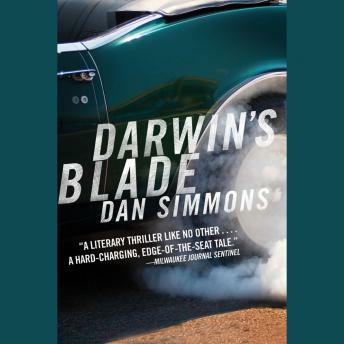 A Vietnam veteran turned reluctant expert on interpreting the wreckage of fatal accidents, Darwin uses science and instinct to unravel the real causes of unnatural disasters. He is very, very good at his job. His latest case promises to be his most challenging yet. A spate of seemingly random high-speed car accidents has struck the highways of southern California. Each seems to have been staged-yet the participants have all died. Why would anyone commit fraud at the cost of his own life? The deeper Darwin digs, the closer he comes to unmasking an international network specializing in intimidation and murder, whose members will do anything to make sure Darwin soon suffers a deadly accident of his own.